The Metropolitan Milwaukee Association of Commerce (MMAC) has developed a “Be the Spark” program that connects businesses with students from Milwaukee Public Schools (MPS) to give them an opportunity to learn about different types of careers. For us, this gives us a chance to welcome students into our facility for a closer look at how manufacturing offers a viable career option. 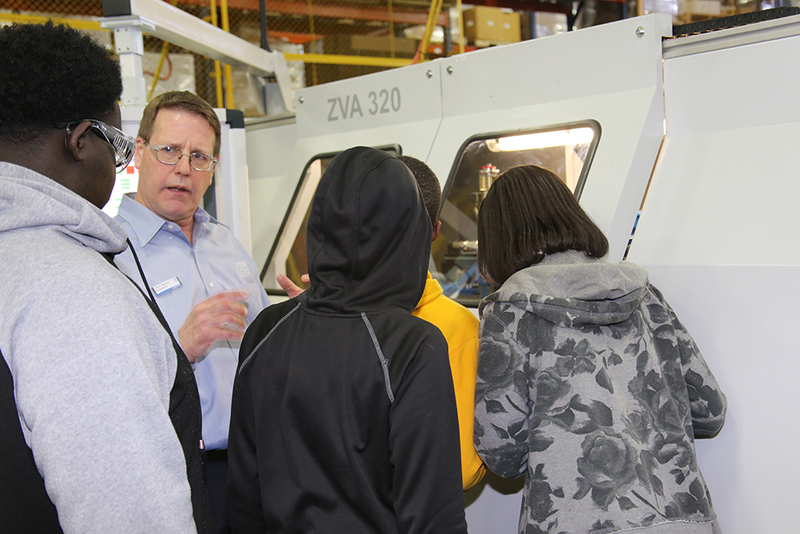 Participating in the MPS Business Education Tours gives PFERD the chance to bring the world of manufacturing and engineering to the next generation. Because the skills gap is a serious issue in our industry, programs such as these are invaluable for exposing students to work that they may never know existed. It also teaches them what skills and education are required to work in the field. We hosted a group of 30 seventh grade students, teachers, and chaperones. The event was a big success! Of course, safety is a priority so each participant was provided with the safety gear they needed to enter the plant. 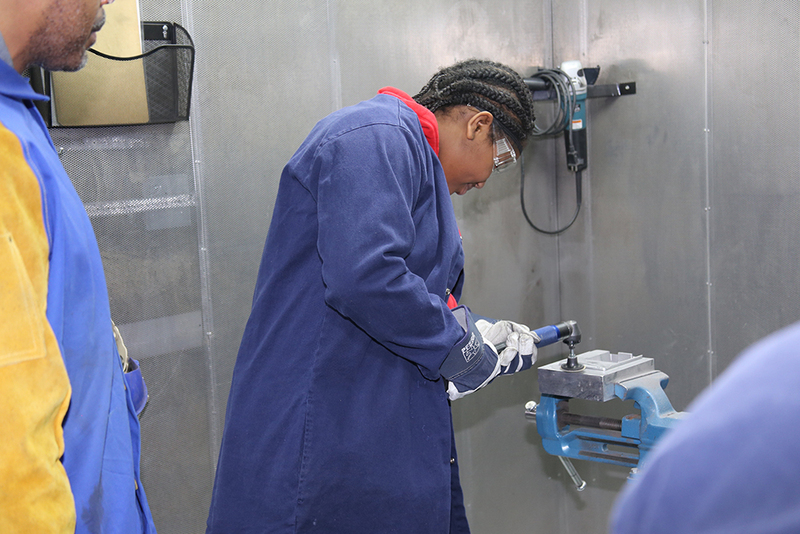 After breaking into three groups, the students cycled through the planned events which consisted of a plant tour, department presentations, and a hands-on demo. 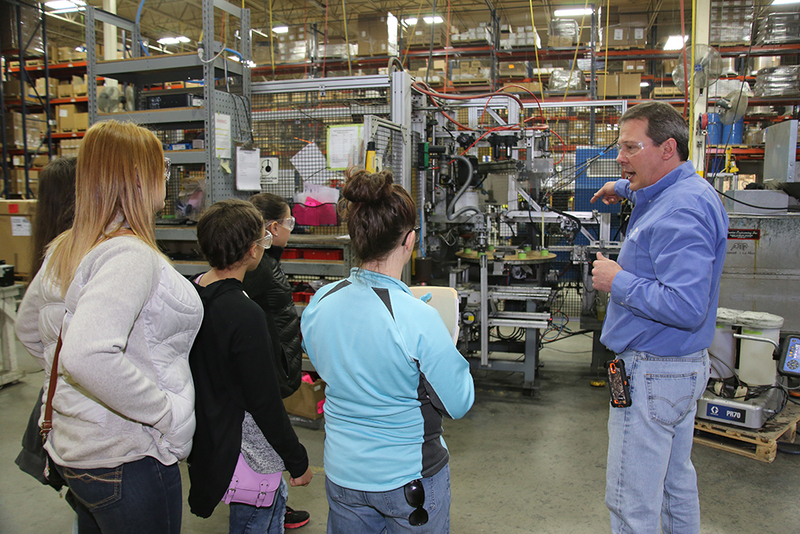 During the plant tour the students saw how our brushes are made, the machinery, and the technology that is used in manufacturing today. Many people have the perception that manufacturing is dirty and dungy. Seeing the plant in action really dispels this idea and spotlights how our industry uses state of the art computerized equipment and technologically advance machinery. Presentations from the Engineering, Logistics, Marketing, and Customer Service departments highlighted key functions that are part of running a successful business. Employees presented an overview of their responsibilities and the skills and experience required to hold these positions. And, finally, the hands-on demonstration let the kids try our products and use the brushes as a customer would in a real-world application. The full tour lasted about 90 minutes. It was a great opportunity for those of us in the plant as well as for the students. Making the connection between school and work is often hard for students to comprehend. Students who don’t think they will ever use algebra or geometry again will see that math and science are all throughout manufacturing and engineering and can lead to very successful careers. We are very happy to partner with MMAC and help to spark interest in manufacturing and engineering careers.